It was a beautiful day in Houston but there was just minigirl and me sketching at the the Japanese Festival (http://japan-fest.info) in Herman Park yesterday. She did a lot of beautiful sketches that I hope she posts. 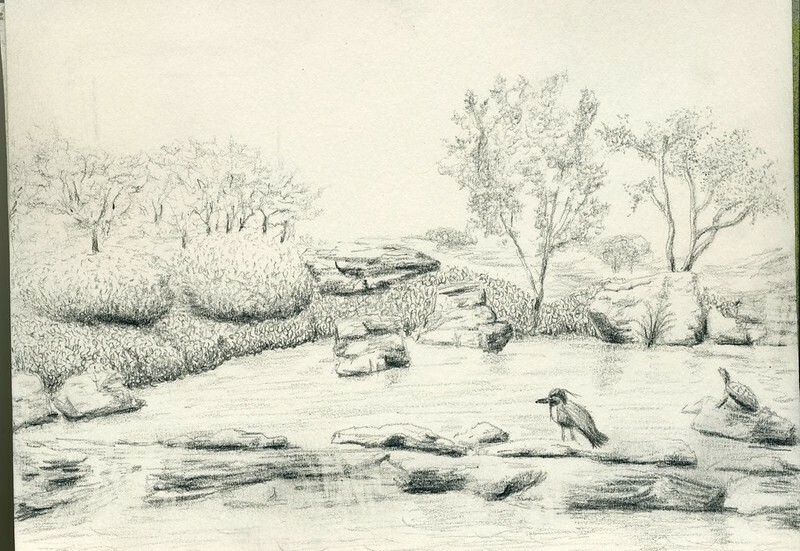 I got hung up in the japanese garden doing just one drawing which I will post. For next time, I need to force myself to learn to do quick sketches. Congratulations on completing your first scketchcrawl! That is a beautiful sketch!!! It is hard to go somewhere so lovely and move around so you can do more than one sketch. Thanks for sharing. 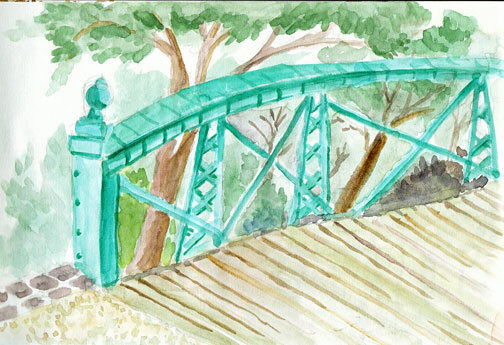 This sketchcrawl weekend found me in Salado, Texas on a craft retreat. 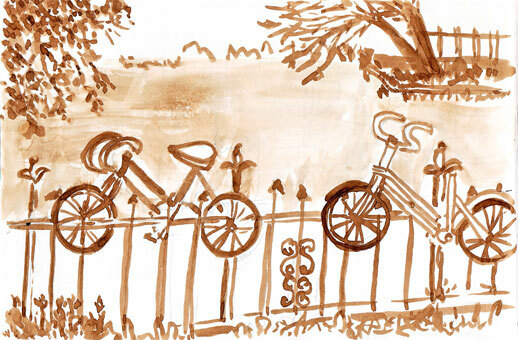 However, sketching tools in hand I went out on Saturday with plenty to draw in a charming little town. Thanks Barbara...always nice to do a sketchcrawl.